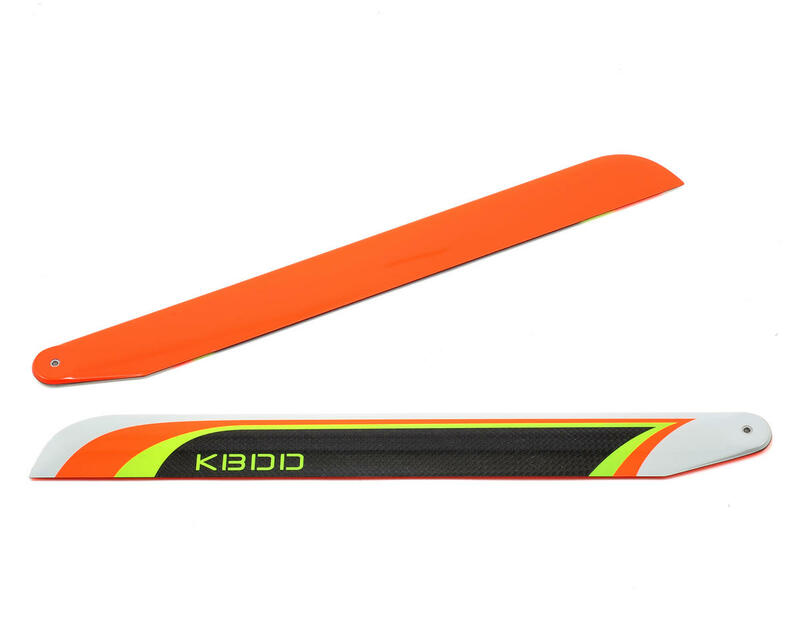 This is a KBDD International 325mm Carbon Fiber Extreme Edition Flybarless Main Blade Set. 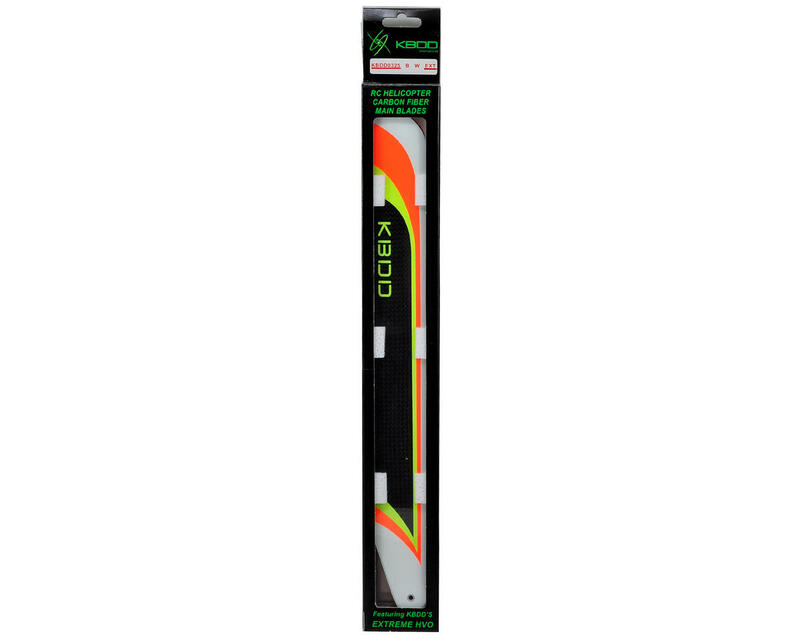 These Flybarless Carbon Fiber main blades feature a distinct orange/yellow/white color scheme that makes it easy to maintain orientation, and delivers a striking appearance that looks as good in the air as it does on the ground, with performance to match. For use with 450 size helicopters. These blades work great! Perfect balance and weight out of the box. As soon as I put them on, I immediately noticed my Blade 450X was more locked in. Turns are crisper and overall my heli just feels more precise with my radio's inputs they are also quieter and have less bark on turns. I would highly recommend them! The only reason I gave 4 stars is the blades are a bit wider then my stock ones and do not allow them to be folded back into the blade grip holder. They are also white on the top, which helps with visibility in the air but not with the bug splatters all across my blades. I would also like to see more color options. A heavy blade, but tracks great. Just turn the roll rates up in the flybarless system to speed then up.